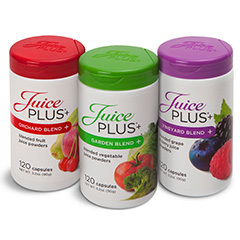 Optimize your health with safe, natural care. The Centre was established to assist the people of our community in achieving the highest levels of health they can. Through educational opportunities (like this website), we will promote the value of a lifetime of a proactive wellness model tailored to your needs. Something for everyone. 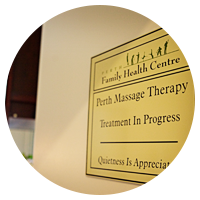 At Perth Family Health Centre we strive to provide several options for the health and well being of our community members. We have services such as: Chiropractic care, Massage Therapy, Orthotics and a full range of Wellness products. We’re here for you!Regardless of your health goals, please understand that we’re here to help you. It’s your body, your health and your future. 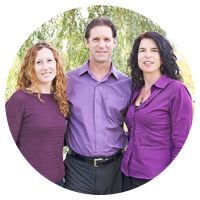 Our job is to offer you the finest care available, and the best advice possible. To get started please contact our office at 613-267-2951. Perth Family Health Centre opened its doors in October 2005. It is located in a quiet neighbourhood on Lewis Street in the historic town of Perth. Originally a Pentecostal Church, owners, Dr.’s Warren Hollis and Elaine Chagnon could see the potential in the 6400 sq. ft. building. While adhering to a sense of the historic surroundings and recognizing the need for a state-of-the-art facility, the building houses the latest in equipment and healthcare services. Recovering from a concussion takes more than just rest. Very friendly, all the staff are funny, always happy to see you and they remember you. Thank you! I am so happy to have found you, thank you so much! From my initial telephone inquiry, to my first consultation and then visit for orthotic fitting, I have been most impressed with reception and staff at Family Health Centre! 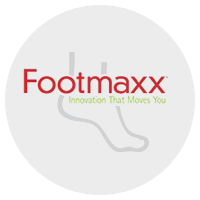 I found Dr. Warren Hollis very knowledgeable and caring as he took time to explain the process of examining my orthotic needs and creating the appropriate orthotic devices. The process was very timely in all aspects as well. I highly recommend the Family Health Centre. Your chiropractors are very gifted! Thank you for relieving my pain. I have trusted Warren since he moved here from Caledon East (as our paper delivery boy) and he has taken good care of our chiropractic needs whenever needed. He does a great job in treating our hockey player grandchildren with their constant injuries. Congrats on your 20 years in business! Great Job had me back to normal in 3 days! Very nice people all around. Great reception, process well explained by Warren, very good info on updates in regard to progress. Very pleased with care and services provided. Severe t-4 back pain gone with 1 treatment. Thank you! was by far my best experience. Very satisfied and impressed with your services. You worked miracles on my little body. Tummy time is easier, I spit up less, I have less belly troubles, and my head is shaped nicely the way it’s supposed to be. Thank you! Your facility works great, your hours are conducive to those of use who have jobs, early starts etc. Staff is friendly and knowledgeable. You fixed my Sciatica a few years ago and have fixed my injury no problem. I have and will continue to recommend you. Really good. The best Chiropractic experience I have had anywhere. And the nicest office. And the most quick recovery with the fewest visits. I’m grateful. For a 7 year old, her first experience was extremely positive and physically, she noticed a difference right away which she found very gratifying.